Shared by David Pressgrove, Area Director in Craig, CO. This video from Rhett and Link's "Good Mythical Morning" was the inspiration for a random theme club idea- NICKELBACK Club! 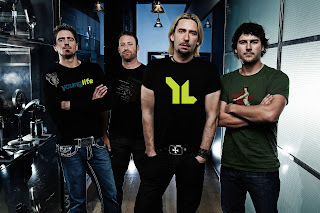 A club based on "the band that everybody loves to hate" seemed like it could be fun. For the music you play before Club and during games - of course, play all Nickelback, but you’ve got to be a little careful because their stuff isn’t always Club appropriate. Give everybody a piece of tape and a nickel. When the music starts, everyone runs around and tries to take everybody’s nickels and put them on their own backs. Keeping it on the back is important for the theme and to keep girls safe. When the music stops the person with the most nickels on their back wins! Have a hand full of YL'ers with makeshift buzzers on their heads (pots and pans) and wooden spoons to hit the buzzer. When the song plays they have to identify either the musician or the song with either the word “Nickel” or “Back” in it. If the first person to buzz in gets it right, then everybody else competing in the game gets a blow pop they have to put in their mouth. As the game goes on, people will have too many suckers in their mouths to continue, so they have to bail. It’s good to have a trash can ready for them to dispose of suckers. It also gets harder to pronounce the words as the suckers increase. You could have a game show host dressed up like Chad Kroger (long blond wig and goatee) to host the game show. 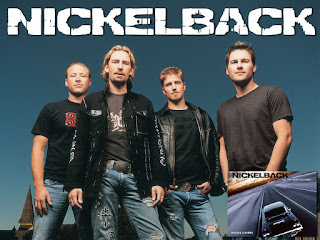 Read lyrics to contestants and they have to decide whether or not it is a Nickelback lyric or not. This is a good "guys vs. girls" game. If you are extra on top of it you can play the Nickelback song edited to the specific lines. I haven’t edited the songs yet, but here is a link to a Google document I created with lyrics. Also, watch the Rhett & Link video above to get an idea.